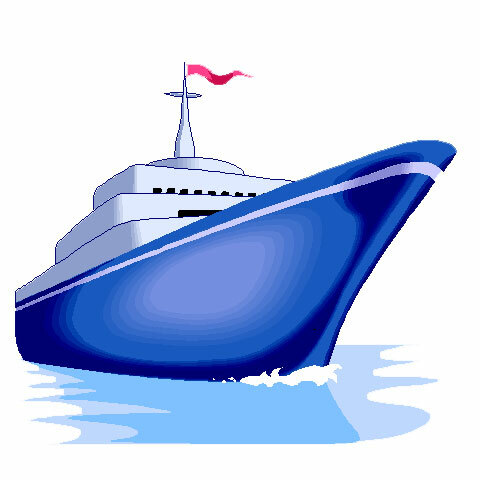 Motion sickness is the nausea, disorientation and fatigue that can be induced by head motion. The first sign is usually pallor (a pale appearance). Yawning, restlessness and a cold sweat forming on the upper lip or forehead often follow. As symptoms build, an upset stomach, fatigue or drowsiness may occur. The final stages are characterized by nausea and vomiting. Motion sickness is a general term. It can be subdivided into sickness due to visual stimulation, due to vestibular stimulation, and occasionally, forms occur associated with somatosensory stimulation (e.g. treadmill sickness), or head-on-neck motion (e.g. cervical vertigo). By far the most common subgroup are pure visual sensitivity -- usually called "visual dependence". In visual dependence, people become sick due to visual motion (such as going to a movie). Motion sickness has been around as long as there has been people and motion. It was well known to the Greeks and Romans (Huppert et al, 2016). Around 300 AD the Chinese described "Cart-influence" and "Ship-influence" (Brandt et al, 2016). Admiral Nelson, the British naval hero who first went to sea at the age of 12, was a chronic sufferer. Who gets motion sickness ? Motion sickness is common and normal. Nearly anyone can be made motion sick by an appropriate stimulus, except for individuals with no vestibular system (William James). According to Benson, nearly 100% of (human) occupants of life rafts will vomit in rough seas. 60% of student aircrew members suffer from air sickness at some time during their training. For vertical motion (heave), oscillation at a frequency of about 0.2 hz is the most provocative. Motion at 1 Hz is less than 1/10th as provocative. About 7% of seagoing passengers report vomiting during a journey (Lawther and Griffin, 1988). Women are more sensitive to motion than men, by a ratio of about 5:3, although this may be related to reporting differences rather than true physiological differences( Cheung, B. and K. Hofer , 2002). Women are more sensitive to motion around the times of their menstrual cycle (Glunfeld and Gresty, 1996). This may be due to interactions between migraine and motion sickness. Children are said to be almost immune to motion sickness up to the age of 2. As children grow older, the severity of motion sickness increases up to roughly the age of 15 (Takahasi et al, 1994). In our dizziness practice, we have noticed women of childbearing age become more prone to motion sickness as their migraine tendency increases. There are two spikes of migraine in women of childbearing age -- one at 35, and another around menopause. Recently, a genetic study of motion sickness was published in an "open access" type journal (Hromatka, 2015). They looked at 80,494 samples from a commercial personal genetics company, 23andme. They reported that there are 35 loci in their human genome sample, largely European ancestry, were associated with a greater propensity to develop motion sickness. Many of these locations were near genes involved in balance, eye, ear, and brain development. There was also an association between migraine, post operative nausea and vomiting (PONV), vertigo, and motion sickness. Both migraine and PONV shared genetic associations with motion sickness. One might think that a "fishing expedition" study like this, lacking any a-priori assumptions, could produce results due to chance alone. We hope that other similar studies emerge that can be compared with this one. There are certain illness that eliminate motion sickness. These include bilateral loss of inner ear function (according to William James, the American Pragmatist philospher), and lesions of the cerebellar nodulus (Bard). As these illnesses are even worse than motion sickness, and there has been no attempt to use this observation clinically. What Causes Motion Sickness ? Although the dominant theory concerning motion sickness involves sensory conflict, there are also 2 other theories that "emphasize one of these responses, but deny the importance of the others" (Flanagan et al, 2004). As each of these situations occurs in nearly all motion, the question then becomes, which one is the most important. The sensory conflict theory is the dominant theory of Motion sickness because it does the best job of explaining many types of motion sickness. There is a large literature about sensory conflict theory, as compared to a small number of papers supporting other theories. Sensory conflict theory is the favorite of the aerospace community (Oman, 1990). In order for the body to determine where it is at all times, the brain combines visual information, touch information, inner ear information, and internal expectations. Under most circumstances, the senses and expectations agree. When they disagree, there is conflict, and motion sickness can occur. For example, consider the situation when one is reading in the back seat of a car. Your eyes, fixed on the page, say that you are still. However, as the car goes over bumps and accelerates/decelerates, your ears disagree. This is why motion sickness in this situation is common. The driver has an advantage, as they have a better internal model of motion, and as well, their eyes are generally fixed on the outside world. Another situation where motion sickness is common is in outer space. There, the otoliths no longer register the effect of gravity (which is no longer there), but continue to signal linear acceleration. It is presently thought that the very common space motion sickness is due to a loss of the usual otolith signal associated with head movement away from the gravitational axis. When the head is pitched, the brain misses the otolithic signal saying that pitch has occured, but continues to receive the canal signal. There is also another problem in outerspace in that linear acceleration may displace the inertial mass of an otolithic sensor, but rather than having gravity to restore it to resting position, only elasticity remains. A partial vestibular loss (for a subset of otolithic input) is supposedly associated with strong motion sickness, but evidence that supports the conjecture that there is a long lasting "utricular syndrome" for example, is scanty. Nevertheless, this unsupported conjecture is used to support extensive evaluations and treatment procedures in motion sick individuals. It is common to encounter asymmetrical oVEMP tests, in individuals who have no motion sickness. In our opinion, the utricular syndrome is possible but evidence for it is low. As the saying goes, lack of evidence is not the same as evidence of lack, so it is a good idea to keep one's eyes open. The essence of this theory is that it is just eye movement produced by retinal slip, that provokes motion sickness. Another way to put this, is that a reaction to a percieved high speed, produces motion sickness. There probably is a little bit to this theory, in that more motion likely causes more sickness, but we think the sensory conflict theory is much more reasonable. To put this in another way, we don't think that keeping the eyes fixed on a target that is moving with the person will prevent motion sickness. This theory suggests that body movement, rather than eye movement or sensory conflict is the dominant influence on motion sickness. This theory has been advocated by Stoffregen et al (2013), and to our knowledge was first brought up by Fukuda in the 1970's. While postural instability often accompanies motion sickness, and there is probably some interconnection as well, we are dubious that this theory explains more than the sensory conflict theory. When there are interlocked phenomena it is sometimes difficult to separate chicken from egg. This looks more like an egg to us. Acquired susceptibility to motion sickness is rare. People with migraine are apt to get motion sick. As migraine peaks in women at the age of 35 and 50, these are times where motion sickness may be acquired in adults. Persons with rare, central nervous system disorders of the part of the brain that processes signals from the inner ear may also be unusually susceptible to motion sickness. Generally speaking, these are lesions of the cerebellum roof nuclei. Persons with inner ear disturbance, especially a recent one, may be intolerant to activity in general. Certain individuals who are constitutionally susceptible to motion sickness, mainly women in mid-life, can develop sea sickness on ships, and a prolonged land sickness, when they get off the ship. This rare disorder is called "mal de debarquement", which is French for "bad getting off the ship". Persons with unusually good vestibular function may be more susceptible to motion sickness than others (Gordon et al, 1996). Persons who have changes in their visual function - -new glasses, laser eye surgery, progressive lenses, bifocals or trifocals, progressive contacts, mismatches between the size of images in one or the other ear, ocular misalignment, may develop more sensitivity to visual stimuli. Persons who are exposed to unusual visual environments, such as traders with 9 different monitors, or air traffic controllers, may develop symptoms related to extreme amounts of visual stimulation. Migraine is a definite risk factor for motion sickness, with roughly a 5 fold greater incidence than non-migraineurs, and a roughly 50% prevalence (Marcus et al, 2005). See table below. Female gender and youth is also a risk factor. In women, days 9-15 of the menstrual cycle appear to have a higher incidence of nausea (Grunfeld and Gresty, 1999; Ramsay, 1994) but not all agree (Cheung, B., R. Heskin, et al. 2001). Medications that prevent migraine may also prevent motion sickness (see below). The space-military industrial complex has developed a theory of motion sickness that depends on asymmetry in otoconial mass (Scherer et al, 1997). Perhaps this mechanism is applicable in outer space, but it seems to us to have very little relevance to "down to earth". The more logical military explanation is the previously mentioned mechanism where the otoliths no longer provide gravity information. Motion sickness is sometimes associated with prolonged vestibular responses (Hoffer et al. 2003), implying that these individuals simply appreciate motion more than others. On the other hand, motion sickness immunity is generally found in persons with absent vestibular responses (William James; Cheung et al. 1991). There is also less motion sickness in patients with vestibular loss (Paillard et al, 2013). Age is probably not a large factor in motion sickness (Cheung and Money, 1992) although children below the age of 2 are said to be immune. They happily vomit. In our medical practice, the only substantial age effect seems to be in women who are experiencing migraines. One way of testing for motion sickness is to ask people to fill out a questionnaire. There are many of these. Somewhat of an industry standard is the "MSSQ", or motion sickness susceptibility questionaire originally developed by Reason and Brand, and later shortened by Golding (1998, 2006) to become the "MSSQ-S" (for short). The "simulator sickness questionare" can be used to quantify how dizzy people get after motion. (Kennedy et al, 1992). Another way to test for motion sickness is to move the subject being investigated about in a stimulating way and find out how long it takes for them to become sick. Certain activities, such as moving the head up and down while rotating, or "pitch while rotating", are very stimulating, and one can use the latency to vomit as a measure of motion sickness susceptibilty. As an example, Calkins et al (1987) reported on the "Coriolis sickness sensitivity index", the "staircase velocity movement test", and the "parabolic flight static chair test". A third, very indirect, way is to determine how strong vestibular responses are, and to make the inference that people with no sensation will have no motion sickness. This idea probably originally derived from the observations of the pragmatist philosopher, William James, who was also interested in deafness, that persons without a vestibular system generally do not become motion sick. For example, Fowler et al (2014) reported that VEMPs were higher in young adults with motion sickness. Dai et al (2003) reported that aVOR time constants are inversely related to motion sickness. We have just not noticed this ourselves in our dizzy population. By way of a summary, we don't think that in general the method of assaying for motion sickness is a sensitive method of assaying for motion sickness susceptibilty. We think that practically, it is best to use some sort of standardized motion input and some sort of standardized output that correlates with nausea -- method 2. When all three strategies are used, it is extremely uncommon to find a person who does not get substantially better. There are also some unproven procedures that we will discuss under the "experimental" heading. In the car: sit in the front seat or drive. Aboard a ship: stay toward the middle and look at the horizon. Avoid ship travel if possible. Stay out of small tight places where you can't see the horizon. On the airplane: ask for a window seat. The front of the plane may be preferable, as it is usually less noisy. Some people find that sitting in the middle is the best location as it provides one with a better appreciation of the aircraft's tilt. Don't sit near the bulkhead as this gives you no visual help to figure out how much you are really tilted. For cars: It may be helpful to mentally rehearse a trip route as familiarity and anticipation is sometimes helpful. Face leeward (so if you vomit, it gets blown away from the ship, not into it). Eat bland foods -- crackers and bread, or bananas, rice, applesauce and toast. One can often avoid motion sickness by anticipating the motion. Drivers have much less motion sickness than passengers, because they are controlling the motion, and know when they are turning, starting and stopping. Drivers on familiar routes are less prone to getting motion sick than drivers in new territory. From a systems perspective, medication might change vestibular input (ordinarily always reduce), or reduce the consequences of motion stimulation. In other words, they might suppress input, or suppress central reactions to the input. Most medications for motion sickness need to be taken at least 30 minutes before exposure to the activity that can cause the problem. Persons with glaucoma or prostate problems should not take most of these medications unless so advised by their doctor. We so far have rarely encountered an individual who could not avoid motion sickness by pretreating with klonopin and ondansetron. That being said, here are more details. Meclizine (Antivert, Bonine). In the antihistamine family. Can cause drowsiness. Like other most other medications, it is best to take these before motion stimulation. Meclizine does not work for all types of motion -- for example, coriolis stimulation (Dornhoffer et al, 2004). Dimenhydrinate (Dramamine). Similar to meclizine. Liquid forms are available for children 2 years of age or more. Cyclizine is similar to meclizine. It is suitable for children 6 years of age or older as well as adults. It is most useful in situations involving short trips (e.g. automobile). Haldol, Thorazine -- these anti-psychotic drugs have dopamine blocking activity which is useful for blocking nausea as well as stimulating stomach motion which helps clear food from the digestive tract. These drugs probably work on the central motion sickness machinery rather than the vestibular system. Calcium channel blockers. Shupak et al. (1994) reported cinnarizine - a mixed antihistamine/calcium channel blocker, to be very effective in preventing sea sickness, when used in a 50 mg dose. As this medication is not available in the US, we have little experience with it. Flunarizine is a similar medication to cinnarizine (Lee et al, 1986), but it has more dopamine blocking effect. As calcium channels appear to be important in the vestibular periphery, and these drugs are very sloppy, their action may simply be vestibular suppression. In the US, combination of verapamil and meclizine would be likely to create a similar effect. Promethazine. This drug is one of the most effective available for motion sickness (Dornhoffer et al, 2004). One dose lasts up to 8 hours. Like the other drugs, it can cause drowsiness. It is not appropriate for cognitive workers. Diazepam (valium) and related "benzodiazepine" medications such as lorazepam and klonazepam. While these drugs are not traditionally used for motion sickness, some people find them very useful in small amounts, typically taken about 30 minutes prior to motion exposure. These medications are very helpful for a related condition, MDD. We have rarely encountered people who could not prevent motion sickness by taking a klonazepam 30 minutes prior to the exposure. On the other hand, one of these, lorazepam, did not help prevent motion sickness from coriolois stimulation (Dornhoffer et al, 2004). These medications are sedating and addictive. They probably work by suppressing central vestibular responses. Unless one is addicted and has developed tolerance, only small amounts of benzodiazepine medications are compatable with normal cognitive function. Scopolamine patches -- these patches are sometimes very helpful. They are a time release form of an anticholinergic medication, scopolamine. Scopolamine is also available in pill format (usually given for irritable bowel). Scopolamine was found the most useful medication for prevention of motion sickness induced by cross-coriolis stimulation (Dornhoffer et al, 2004). Whether or not this is true for other types of motion stimulation is not known. Scopolamine contains both the D and L isomers of hyoscine. Scopolamine (hyoscine) is close, but not exactly the same as L-hyocyanime (the active ingrediant in Levsin). Scopolamine may have more central activity while Levsin (a GI medication) less. In other words, Levsin is not equivalent to scopolamine -- it is a close relative however. Scopace is an oral version. Anticholinergics that do not penetrate the blood-brain barrier, such as robinul, would seem to be poor choices, as they have no target. Ondansetron and other serotonin-family anti nausea drugs -- these are powerful anti-nausea medications. They do not prevent motion sickness but they may prevent vomiting. They work very well, with almost no side effects at all. In general, they are an excellent choice for nausea. Migraine medications: Verapamil (a calcium channel blocker), venlafaxine (an antidepressant, in this context used as a migraine prevention medication). We favor verapamil as it is also useful in cyclic vomiting. Triptans have been reported as mildly helpful in preventing motion sickness in persons with migraine (Furman et al, 2011). We have not encountered any reports concerning the longer acting triptans such as frovatriptan or naratriptan, which would seem to be logical picks. Seizure medications phenytoin and carbamazepine (sodium channel blockers). Phenytoin (Knox et al, 1994) would seem to us to be a very bad choice due to it's difficulty in dosing. Carbamazepine also would seem to us to be a bad choice due to significant risk of side effects. We are not sure about safer agents such as oxcarbamazine. We are dubious about this group but have occasionally had good results. Non-benzodiazepine anxiety medications. Buspirone (Buspar). There are also some atypical antipsychotics such as abilify and respirdol. We have never had any success with this group, but they might be useful in rare situations where everything else has failed. Alternative medications Betahistine (Serc). This medication is sometimes very effective. (e.g. Matsnev and Sigaleva, 2007). Our experience is a good effect in about 30%. antihistamines such as fexofenadine and cetirizine that do not get into the brain (Cheung, B. S., R. Heskin, et al. ; 2003). It also seems very unlikely that anticholinergics that don't get into the brain (such as Robinul) work either. Treatment of motion sickness differs from treatment of nausea and vomiting. A discussion of the treatment of vomiting can be found here. It is reasonable to assume that habituation (repeated motion exposure) makes one less motion sensitive. (Cheung, B. and K. Hofer, 2005). In fact, the military uses a "habituation" protocol to overcome motion sickness. This requires expensive equipment (a rotating chair). Habituation should be "batched" -- meaning done every day. There are a number of drugs which probably reduce habituation. A somewhat similar approach was reported by Dai et al recently (2011), in a civilian apparatus. It again involved a rotatory chair as well as a simultaneously rotating optokinetic surround. In our practice in Chicago, we have abandoned the effort implement this protocol with our own equipment, but we have set up a similar protocol, also copied from work of Dai, using an optokinetic stimulus and the pseudocoriolis effect. Habituation can be obtained through sports activities or physical therapy procedures. These procedures generally involve use of visual-vestibular mismatches, called "times 2" and "times 0" viewing. Stimulators with "disco balls" are often used too. We are unsure if these procedures are effective. A home exercise method has been proposed to overcome motion sickness -- the "Puma" method. These exercises were developed by a flight surgeon (Sam Puma), to assist pilots with motion sickness in overcoming their sensitivity to motion. They are very stimulating exercises, that may be useful to extremely motivated people, who are not able to use more conventional methods of management of motion sickness such as medications. The Puma method appears to us to be a habituation protocol -- repeated exposure to the things that make one ill. This may well work -- if you can tolerate the process. We are cautiously hopeful about this method -- although it seems to us to be likely to cause a lot of nausea itself. When we sometimes suggest this to our patients in our dizziness practice, we suggest that they use ondasetron to avoid nausea. It is rare that someone with motion sensitivity is able to tolerate these exercises. Activities that promote formation of "internal models" of motion may also be useful for motion sickness prevention. We do not know of any formal protocols that use this idea. We recently have proposed a protocol for visual dependence that may be useful in treatment of motion sickness (Chang and Hain, 2007). See the page on visual dependence for more detail. There are numerous "alternative" remedies for motion sickness. The most popular are Ginger derivatives, such as ginger tea, powdered ginger capsules, and even raw ginger between the teeth. We have not seen much success in our patients. Holtman et al(1989) reported no effect on vestibular responses by ginger, and suggested that Ginger's main effect is on the stomach, to prevent vomiting. Acupuncture and acupressure has been reported useful for motion sickness. It appears to be a little better than placebo. Experimentally, motion-sickness can be eliminated in dogs by surgically removing part of the brain (the nodulus, according to Tyler and Bard, 1949). In theory, vestibular ablation with streptomycin or gentamicin should eliminate motion sickness (at the price of developing bilateral vestibular loss). This method seems to us to be unreasonably damaging. Passing electrical current into the scalp was suggested by Arshad and others to be a "therapy for motion sickness" (2015). There are many practical issues with this technique. It appears to be a curiosity. Treatment of vertical heterophoria is also sometimes useful in visual motion sickness (Jackson and Bedell, 2012). Arshad, Q., et al. (2015). "Electrocortical therapy for motion sickness." Neurology 85(14): 1257-1259. Brandt, T., et al. (2016). "Motion sickness in ancient China: Seasickness and cart-sickness." Neurology 87(3): 331-335. BUCKETT WR AND C. G. HAINING. SOME PHARMACOLOGICAL STUDIES ON THE OPTICALLY ACTIVE ISOMERS OF HYOSCINE AND HYOSCYAMINE Brit. J. Pharmacol. (1965), 24, 138-146. Cheung, B., R. Heskin, et al. (2001). "The menstrual cycle and susceptibility to coriolis-induced sickness." J Vestib Res 11(2): 129-36. Cheung, B. and K. Hofer (2002). "Lack of gender difference in motion sickness induced by vestibular Coriolis cross-coupling." J Vestib Res 12(4): 191-200. Cheung, B. and K. Hofer (2005). "Desensitization to strong vestibular stimuli improves tolerance to simulated aircraft motion." Aviat Space Environ Med 76(12): 1099-104. Cheung, B. S., R. Heskin, et al. (2003). "Failure of cetirizine and fexofenadine to prevent motion sickness." Ann Pharmacother 37(2): 173-7. Cheung, B. S., I. P. Howard, et al. (1991). "Visually-induced sickness in normal and bilaterally labyrinthine-defective subjects." Aviat Space Environ Med 62(6): 527-31. Cheung, B. S., R. L. Kohl, et al. (1994). "Etiologic significance of arginine vasopressin in motion sickness." J Clin Pharmacol 34(6): 664-70. Cheung, B. S. and K. E. Money (1992). "The influence of age on susceptibility to motion sickness in monkeys." J Vestib Res 2(3): 247-55. Cheung, B. S., K. E. Money, et al. (1992). "Investigation of anti-motion sickness drugs in the squirrel monkey." J Clin Pharmacol 32(2): 163-75. Dai, M., T. Raphan, et al. (2011). "Prolonged reduction of motion sickness sensitivity by visual-vestibular interaction." Exp Brain Res 210(3-4): 503-513. Dai, M., et al. (2003). "The relation of motion sickness to the spatial-temporal properties of velocity storage." Exp Brain Res 151(2): 173-189. Flanagan, M. B., et al. (2004). "The role of vection, eye movements and postural instability in the etiology of motion sickness." J Vestib Res 14(4): 335-346. Fukuda, T. (1976). "Postural behaviour and motion sickness." Acta Otolaryngol 81(3-4): 237-241. Furman, J. M., D. A. Marcus, et al. (2011). "Rizatriptan reduces vestibular-induced motion sickness in migraineurs." The journal of headache and pain 12(1): 81-88. Golding, J. F. (1998). "Motion sickness susceptibility questionnaire revised and its relationship to other forms of sickness." Brain Res Bull 47(5): 507-516. Golding, J. F. (2006). "Motion sickness susceptibility." Auton Neurosci 129(1-2): 67-76. Huppert, D., H. Oldelehr, B. Krammling, J. Benson and T. Brandt (2016). "What the ancient Greeks and Romans knew (and did not know) about seasickness." Neurology 86(6): 560-565. Jackson, D. N. and H. E. Bedell (2012). "Vertical heterophoria and susceptibility to visually induced motion sickness." Strabismus 20(1): 17-23. Kennedy, R. S., et al. (1992). "Use of a motion sickness history questionnaire for prediction of simulator sickness." Aviat Space Environ Med 63(7): 588-593. Lee JA, Watson LA, Boothby G. Calcium antagonists in the prevention of motion sickness. Aviat Space Environ Med 1986:57:45-8. Marcus, D. A., J. M. Furman, et al. (2005). "Motion sickness in migraine sufferers." Expert Opin Pharmacother 6(15): 2691-2697. Oman, C. M. (1990). "Motion sickness: a synthesis and evaluation of the sensory conflict theory." Can J Physiol Pharmacol 68(2): 294-303. Ramsay TM, McDonald PF, Faragher EB. The menstrual cycle and nausea or vomiting after wisdom teeth extraction. Can J. Anaesth 1994, 798-801. Shupak, A., I. Doweck, et al. (1994). "Cinnarizine in the prophylaxis of seasickness: laboratory vestibular evaluation and sea study." Clin Pharmacol Ther 55(6): 670-680. Stoffregen, T. A., et al. (2013). "Getting Your Sea Legs." PLoS One 8(6): e66949. (Note that PLOS-1 is a journal that does not have as rigorous a review process as many others). Strupp, M., et al. (2018). "Prevalence of motion sickness in various vestibular disorders: a study on 749 patients." J Neurol 265(Suppl 1): 95-97. [This is a letter to the editor, not a full study]. Tyler, D. B. and P. Bard (1949). "Motion sickness." Physiol Rev 29(4): 311-369. We thank several readers who have offered their observations regarding motion sickness strategies.